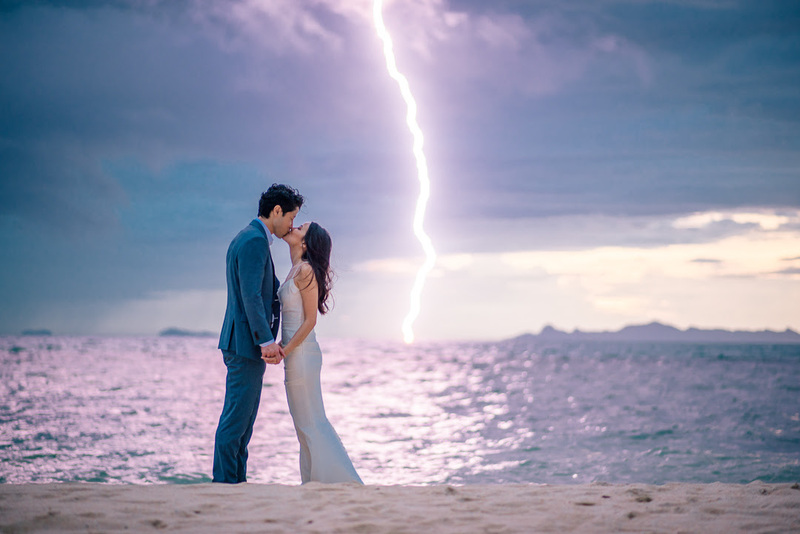 To continue with our theme of getting beautiful wedding photos in bad circumstances, let's look at the challenges of bad weather. We would all love to have beautiful sunny skies and warm (not too hot!) 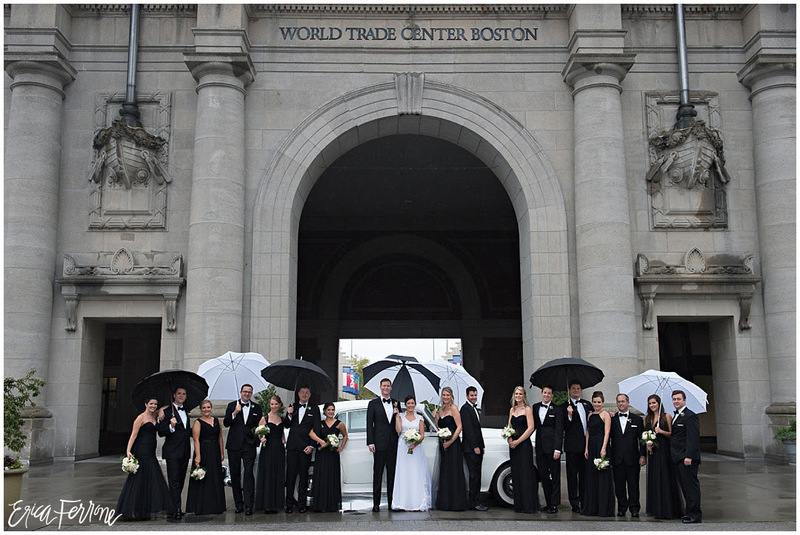 weather for our weddings, but when you plan a wedding months or years in advance, there are no guarantees. 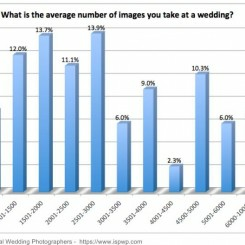 Many wedding photographers have received that phone call from their clients worried about how the forecast looks bad, and how in the world are they going to get those beautiful outdoor wedding photos? 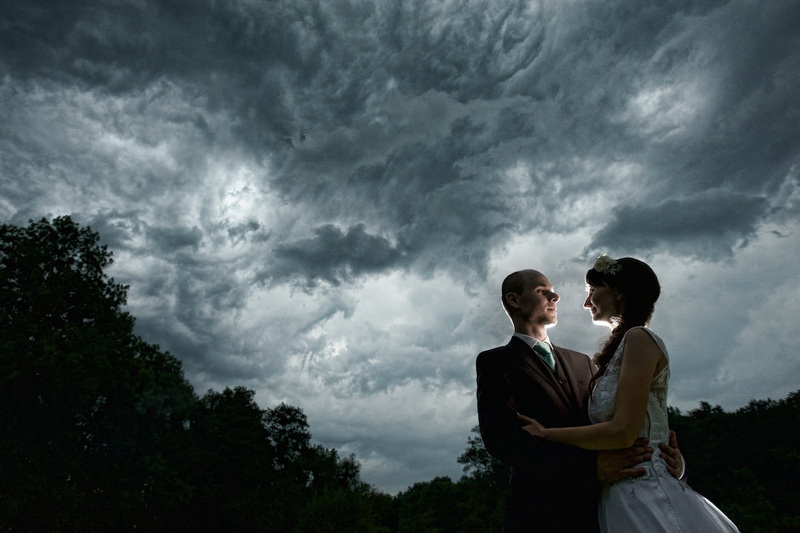 Wedding photographers are experts at controlling apertures and shutter speeds, but the weather? Not so much. 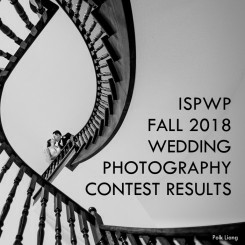 But all is not lost, just because the weather is not cooperating doesn't mean you can't get beautiful, stunning, and unique wedding photos. A lot of it has to do with the attitude that we recommend that everyone takes on a wedding day... roll with the punches. As you can see with the images below, if you hire an experienced wedding photographer (such as ISPWP members!) who have dealt with all kinds of weather situations, you're in good hands. We asked some ISPWP members to share some images and stories about how they overcame the weather to still capture fun, memorable, and beautiful images for their clients. Photography is a passion for me. So I really don't care if it is good or bad weather. I'm able to create stunning pictures in great sunlight and blue sky even if a storm is coming. Maybe bad weather like a storm or a hurricane is more extraordinary than blue sky so I'm more passionate. It was so cold and windy on this day, but we created this stunning picture before it started to rain heavily. I think that the bride and groom will never forget this on their wedding day. This was a wedding in July, so it was Summer in Germany. But on this day it was like November, in Winter. When we came out of the church, it rained so hard. The storm was strong. But the bride and the bridesmaids had fun anyway. The bride was glad about these special pictures! As a photojournalist, I don't believe in bad weather. Weather is as it is and I'm just there to document it. Whether the sun is high, or the wind is blowing us away, or the rain is pouring down, anything can turn out great with some creativity. 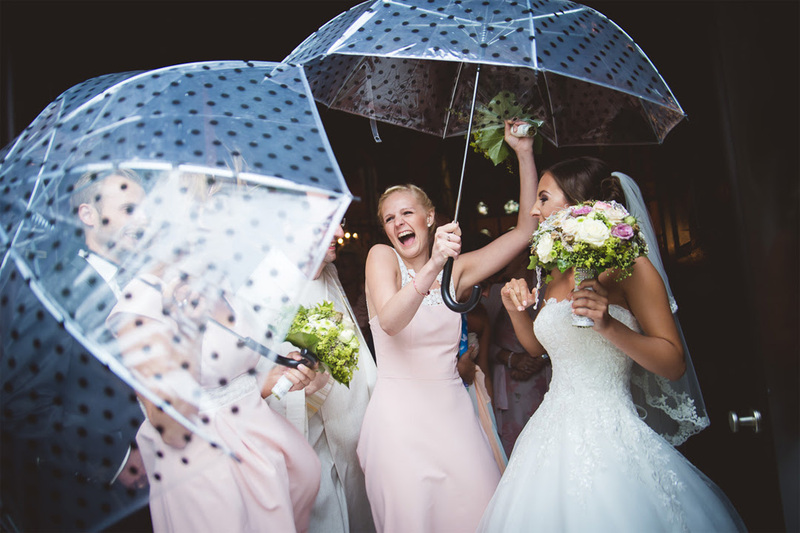 This shot was taken in the rainiest city in Croatia, and of course, it rained on the wedding day. The couple didn't mind and we had a blast! After the wedding ceremony, we started taking pictures of the couple for their wedding portrait. I knew rain was coming. And I saw lightning coming over the sea. I told the couple where to stand and then I shot the picture. I'm so lucky to get the lightning in the picture. This was just after the couple was leaving the church on a very blustery and rainy day. 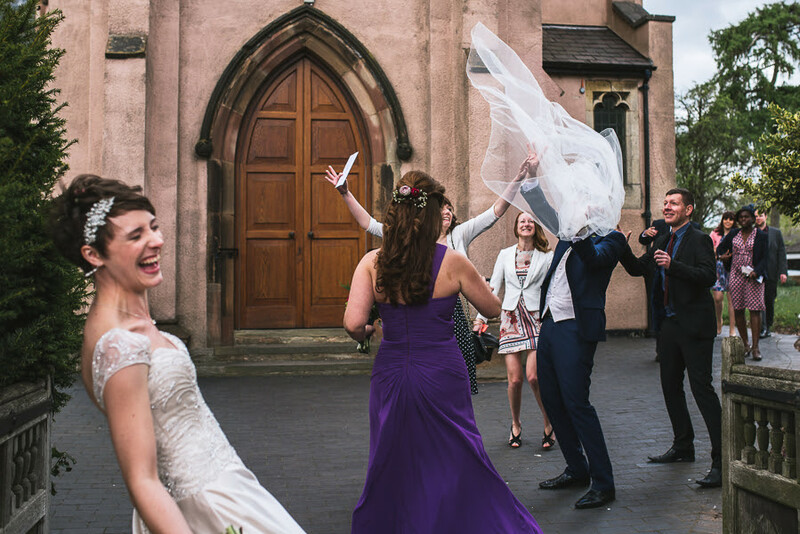 The bride's veil came completely off and managed to land directly onto the groom! As you can see they took it all in their stride. I never worry about the weather - sure it plays a massive part in the dynamic of the day (and the pictures), but the best thing to do is just to roll with it. 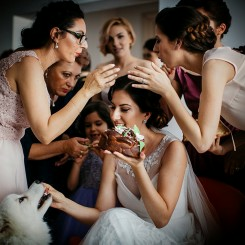 This wedding party was one of my favorites because they were game for anything! They came prepared with umbrellas and not one person complained about the weather. I'm also thankful to my assistant for the umbrella over my camera keeping it (mostly) dry! 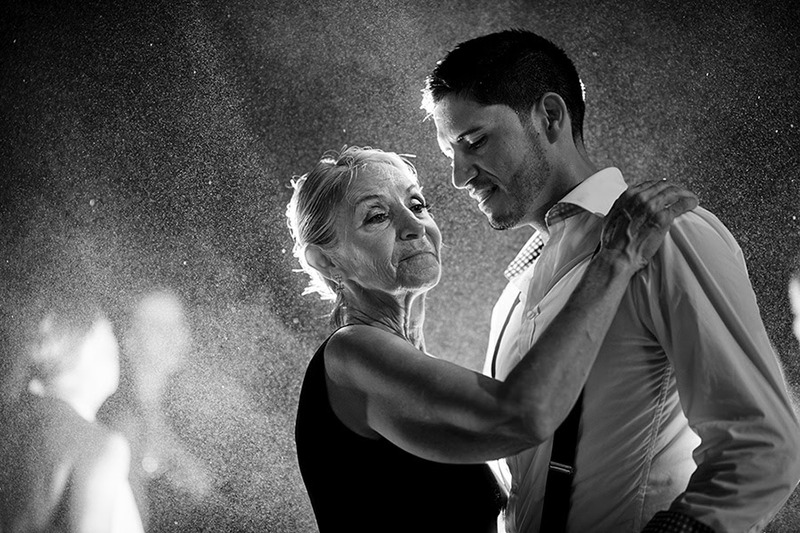 This picture was taken during the first rain of the season and represents the groom and his mother. The couple was so excited about getting married in the rain that they chose to have the dance floor uncovered. The pouring rain messed up one of my flashes that day, but it gave me the opportunity to capture awesome photographs. By setting a flash right behind the guests, we came out with a series of beautiful images. The details of the rain had a very romantic effect. 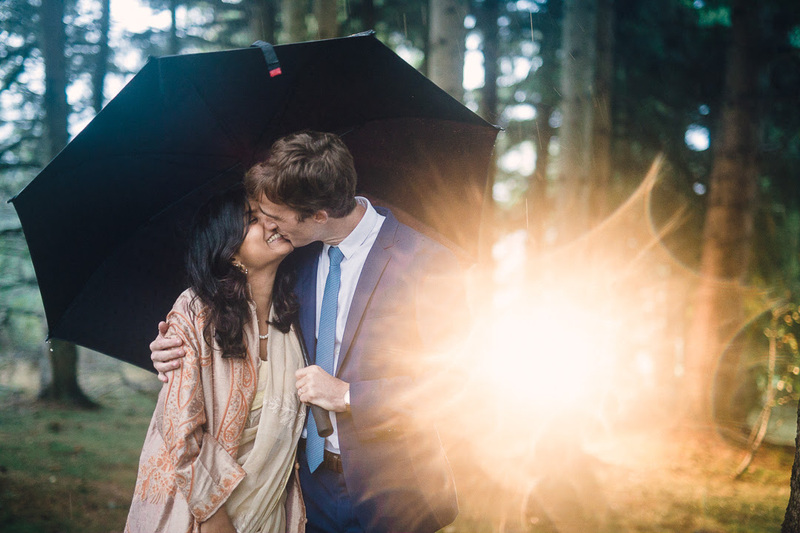 A French guy and a beautiful Indian girl got married in the center of France, in a forest area. It was a stormy day, windy with heavy rain. Normally, you would not take the pictures outside. But I insisted and gave them an umbrella. "Please, only 2 minutes and just 20 meters from the reception! " I asked with a great smile. I saw a spotlight in the forest and wanted to take advantage of it. As usual, I did not put the hood on my lens to capture the flares. In 20 seconds my lens was full of water, but I shot around 20 pictures and I got magically wet lens flares. My gear was completely under water but I got a simple, authentic moment of this beautiful couple. What separates a great photographer from a less great one is the ability to prepare for and predict any possible climatic adversities. As an experienced wedding photographer I always make sure to take with me umbrellas, raincoats, an extra pair of shoes, and even a blanket in case it gets very cold and the couple hasn´t brought anything to protect themselves. In terms of photographic gear, I make sure to have the external light equipment in case we need to shoot indoors or with poor lighting. The above picture was taken on a hot August day, at around 6 pm. We went up the Sintra Hills for a photo shoot and we were surprised with very misty, cold and cloudy weather up there. It felt like the clouds literally invaded the forest making it gloomy through and through. Luckily I had enough external lighting that enabled me to make the most of this scenery, and the final result of the session was actually breathtaking where the misty air complimented the bridal scene with a mare. Caroline and Rob had planned to have a backyard wedding but Hurricane Joaquin forced a last minute venue change. The couple still wanted to attempt portraits by the water so we all braved the storm and I just asked them to hold tight to each other so they wouldn't blow away. The bride's dress caught the high winds many times in the short time we were out there and this image is my favorite of the day. Despite the weather the wedding was a warm celebration and the couple never lost their composure or joy. It was a very cold winter with temperatures around -19 degrees Celsius outside during the wedding. 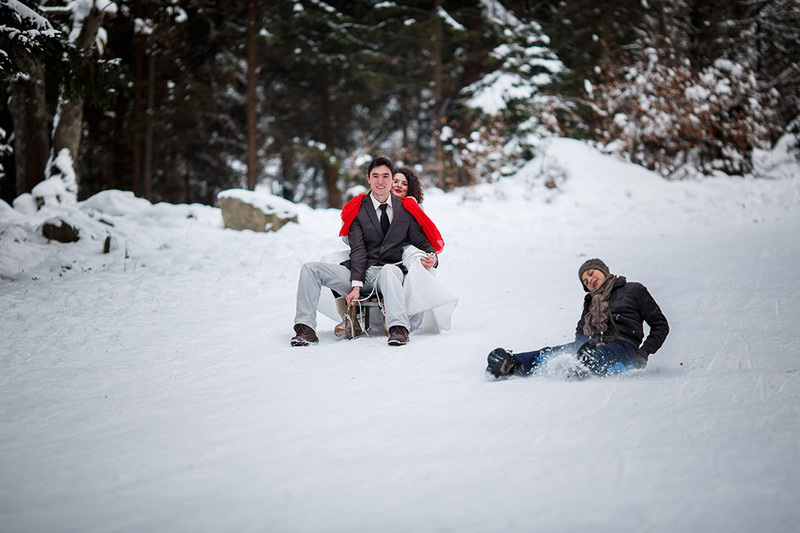 A day after the wedding, we decided to do a photo session in the snow. The bride and groom were very brave and had a lot of fun even with the freezing cold. We captured this image a couple of weeks ago. 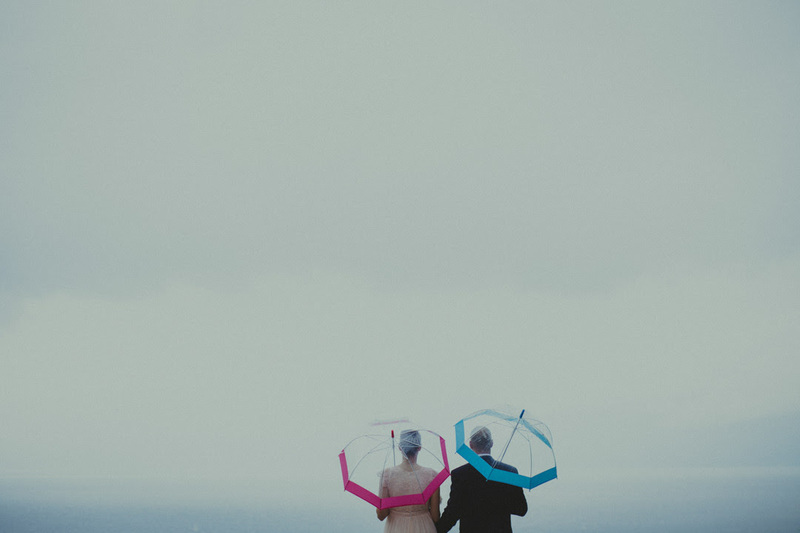 The biggest factor in overcoming bad weather is the right couple. As a photographer, we are always willing to capture something different and go out on an edge to get the shot. It’s up to your bride and groom to decide if they want that too and will come with you! Brides have paid thousands of dollars for their wedding dress and it’s understandable that they may not want to get it wet. They also may not want a wet and wild picture on their wedding day. But if they do, and they have the right adventure in them, we are able to capture amazing images. In this case, we still got them covered up under a beach gazebo. While the rain still made its way on us, the sun came out and we captured an amazing sun shower in Mexico with rain on their lips! Only in bad weather, you can have unique and stunning photos because of its gloomy shade. All wedding photos you posted are really cool especially the one captured by "Fabio Azanha Photography", I think that was the best. Thanks for sharing those beautiful wedding photos. 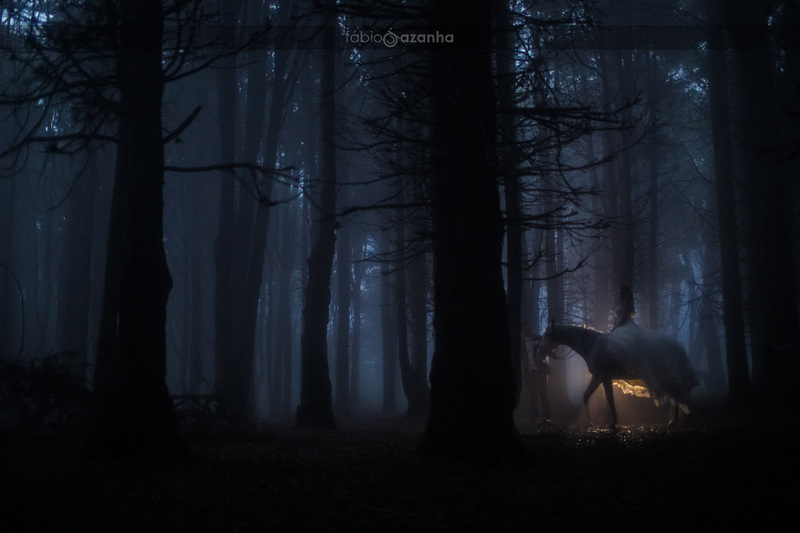 The photo in the forest with the horse is absolutely breathtaking! Way to work with what you're given. In my experience, I usually end up with something better than I had planned. So many beautiful images - honored to have one of mine included! The lightning image by Koro Studio is so stunning. Thanks for putting this together Joe Milton!